Author’s Advice To Simplify Over 200 Years Ago Still Valid – But Did We Listen? Henry David Thoreau died 201 years ago this month, and his plea to simplify has obviously fallen on deaf ears. Hard to believe that even back then, people had a hard time dealing with “wants vs. needs,” as well as worrying about the past and not living in the present moment. With so many people not only in debt, suffering from bad health and bad relationships, but also popping anti-depressives like they were candy, it’s clear that we haven’t really progressed too far from our great, great grandparents. 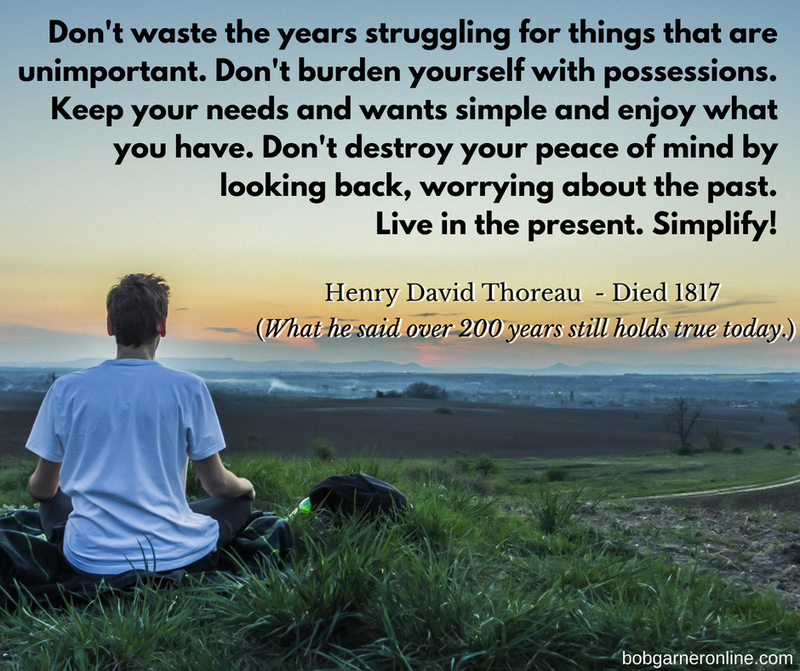 It seems for those back in the early 1800′s, as it is for us in the early 2000′s, that one of the keys for living a more peaceful life - according to Thoreau – was to simplify. Worrying about the past can clutter up your life as much as stressing about the future. Just do what you have to do and get on with it. One issue at a time. There is an old saying, “You can’t ride a horse on a horse.” In other words, just ride one horse – one problem – at a time. Often, you will find that while you’re concentrating on your “horse” the other “horse/problem” takes care of itself. All of this helps you to simplify, which is one sure way of moving closer to a peaceful life. And isn’t that what we all want? Peace? 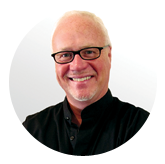 So, ask yourself – how can I begin or continue to simplify my life? What can I get rid of – bad thoughts, relationships, possessions? What can I stop doing that is messing up my life? How can I enjoy what I have as opposed to focusing on wanting more? How can I live more in the present as opposed to the past or future?